If you’ve been to Disney World in the last few years you’ve probably seen a family, or 20 wearing some Disney family vacation shirts around the parks being worn by people. Disney vacation shirts aren’t really anything new but the creativity and amount of people looking for some Disney World family shirts and other Disney World inspired apparel has grown a lot over the past 5 years. In fact, you’re probably here because you were looking for such shirts and if that is the case you are in luck as we have some pretty neat Disney World inspired shirts that are sure to get some compliments and perhaps even help you enjoy your trip just a little bit more. You can check out some of our shirt designs below and some more information about our Disney vacation shirts and designs even further down. Why Choose Disney Vacation Shirts From Capture The Magic? Probably much like you, we’re big fans of all things Disney (especially Disney World shirts) but we are also very picky about the shirts we make and we only print our designs on the most comfortable and durable shirts on the market today. In fact, we tried 20+ different shirt brands until we settled on the very few we chose to make part of our line. All our designs are printed on cotton and polyester blends that provide a super comfortable shirt that doesn’t shrink much (if at all) and is light enough to help when you’re in the parks and that Florida sun is beating down on you. Also our shirt and apparel line helps us fund and grow our show, Capture The Magic Podcast which has grown into one of the top Disney World podcasts out there today. It’s not just about us though, on select shirt designs, we donate a percentage of the sales to the Give Kids The World Foundation. If you aren’t aware of this foundation, they provide kids with terminal illnesses with trips to Disney World for them and their families. It’s really a great foundation and one we are really proud to help support with our shirt line. So maybe you’re not a complete Disney World nut, maybe your family is big into Disney and you’re not and/or you’re just on the fence about if you should get Disney vacation shirts for your Disney World trip. Below we will list out some fun reasons why you should at least, consider getting some Disney World inspired shirts for your next vacation. This one may seem a little obvious or cheesy but it is a lot of fun wearing either matching or at least unique Disney World shirts that show certain aspects about Disney World that you love. I can’t even tell you the amount of times when we’re at Disney World that people have commented on how they like the shirts we’re wearing, where can they find them and even just meeting awesome new people by starting a conversation based around the Disney shirt we’re wearing. It really does make your Disney World trip even just a little more fun, magical and helps get you in the Disney spirit. Nobody likes to talk about this side of any family vacation, especially a Disney vacation but if you have little ones in your family that can walk or even teenagers, they could easily get lost in the giant crowds of people that visit the parks everyday. Having a little one ourself it’s a horrible thing to imagine but having matching shirts as a family can make it much easier to find your family members if they happen to have wandered off or even some of the older members of your family that decide to gaze off and look at the castle instead of going into Adventureland with everyone else. Knowing their shirt color and design can make it easier for you to spot family members and God forbid if you can’t find them and had to get a cast member for help and you could point to your shirt as the exact thing they are wearing can help them find them much quicker. 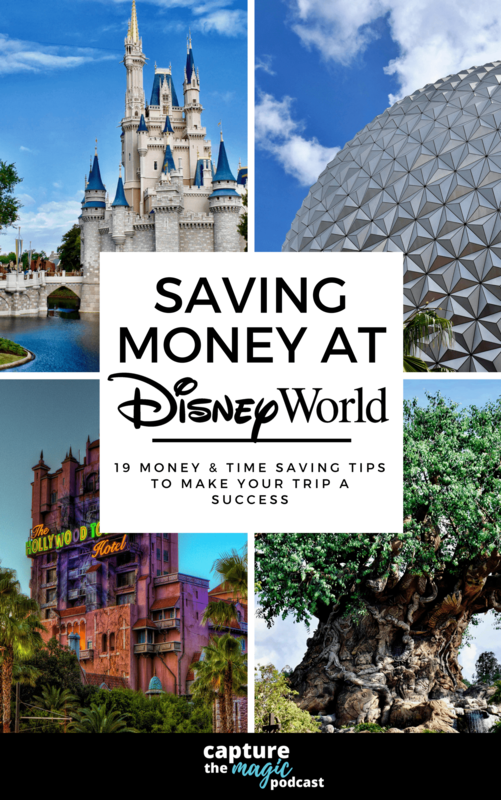 Again, it’s not a fun topic to talk about but even if you don’t get any Disney World family shirts, it’s an important topic to have a plan for when going on any sort of family vacation. Everybody loves souvenirs from their Disney World vacations, heck, even people who don’t go to Disney with you will ask for a souvenir to bring back home for them. Our family loves Disney parks merchandise as much as they next Disney fan, but there is something really cool about having a shirt that is unique and you can have something that everytime you wear it or see it, you will be reminded of your family vacation. Maybe it was overcoming a fear and riding that scary ride you didn’t want to ride, or riding Splash Mountain and getting soaked or just spending quality time with your family at the parks. Whatever the memory, Disney family vacation shirts can be a great keepsake from your family trips. This goes along with the first point a little bit but one thing we’ve noticed since we’ve been wearing our own Disney World family shirts to the parks for a few years now is that cast members will go out of their way to say things about our shirts. We’ve even had cast members start full on conversations with us, give us some great tips, extra fastpasses and other things just from them originally commenting on our shirts. Now this doesn’t mean that if you wear shirts like this that you and your family will be granted unlimited fastpasses and more magic but it can definately start fun conversations. We donate 10% of all the sales of Our Parks Elements shirts to the Give Kids The World Foundation. If you aren’t familiar with this foundation, they provide Disney World trips for terminally ill kids and their families. It’s a really great foundation and one that we are proud to help support with our shirts. So you can not only get some great shirts to wear in the parks but you can feel good knowing you helped support a great cause as well. We know there are many choices when it comes to picking the best Disney shirts for your family vacation and if you give us a chance to prove ourselves to you, we think you’ll be impressed. Whether or not you choose your Disney World shirts with us or somebody else, we hope you have an amazing time on your next Disney World vacation! Even if you don’t get a shirt from us you should check out the Capture The Magic Podcast as we have 2 new shows weekly and discuss the latest Disney World news, rumors, trip reports, tips, reviews and more.